Make our Home of the Month yours. Plot 47, The Malden - Priced at £1,045,000 and available with FULL £48,250 Stamp Duty† paid, £1,000 towards Legal Fees* & Carpets throughout. Move in this Summer. Just 2 Malden's remaining, don't miss out. The double-fronted Malden offers ample living space for growing families and measures an impressive 1,485sq.ft. An attractive bay window adds to the sitting room’s elegance and folding doors out to the great sized garden bathe the large open plan kitchen and breakfast room. Further complemented by a utility room with access to the integral garage. There are four good-sized bedrooms to choose from, two of which are en suite with one featuring a fitted wardrobe, while the master boasts an elegant dressing room and a luxury family bathroom completes the picture. Plots 46 & 47 all benefit from south facing gardens. †Stamp Duty paid is available on Plot 47 only, is based on the full asking price and cannot be used with Part Exchange. Disclaimer - Property reference 8f2648f7-a5a1-4b72-aac4-fa3e6b6d760d_4_43_101368. The information displayed about this property comprises a property advertisement. Rightmove.co.uk makes no warranty as to the accuracy or completeness of the advertisement or any linked or associated information, and Rightmove has no control over the content. This property advertisement does not constitute property particulars. 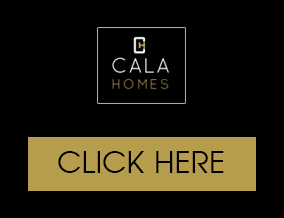 The information is provided and maintained by CALA Homes. Please contact the selling agent or developer directly to obtain any information which may be available under the terms of The Energy Performance of Buildings (Certificates and Inspections) (England and Wales) Regulations 2007 or the Home Report if in relation to a residential property in Scotland.